B.Des B.E /B.Tech B.Sc. 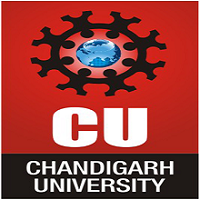 (Hons) M.B.A B.Com(Hons) Diploma Dual Degree B.C.A. M.Sc. B.Sc. B.A. L.L.B B.Arch B.B.A B.B.A. L.L.B L.L.B L.L.M M.Des M.E /M.Tech. B.A. B.Com B.H.M. M.A. 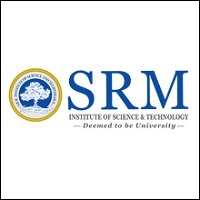 The worst college for new comers.. The campus structure is good. But That's all good about this college. Tons of restrictions are there. Like a central Jail. There is no college life here. Hosteler even can't go home in Diwali without college permission. This is like hell. Our college life is ruined. Don't waste yours. The placements are good, and the salary packages are nice. We know about the dream and super dream companies. Dream company means it offers more than 10 lacs per annum. The infrastructure is very nice it looks like heaven. We have a swimming pool, outdoor and indoor stadium. We have a basketball court, gym facility also. We have many food malls on the campus, and the campus is full of trees with a good environmental condition. : Daily we have extracurricular activities. If you are interested, you can join in any club, and the famous fest is the River. This college is located in outside Jaipur.The infrastructure is very good.The green environment makes it very beautiful. 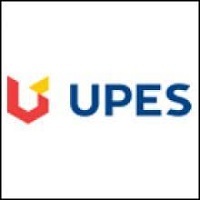 This is worst college for student in Jaipur. The gate is locked at 8:00 Am. Students are not allowed enter in college campus after 8 Am. The gate is open at 3:30 pm then after student have permission to go outside.The placement of this college is worst in Jaipur. The internal no are send by faculty is very poor. This is drawback of VIT. But one good things of Vit are they make the student punctual.The student understand their responsibilities because VIT management are so strict .So I have suggested VIT is better option for those students who wants to study in B.Tech just like school.But those student who wants to enjoy B.tech life there is no option in VIT. 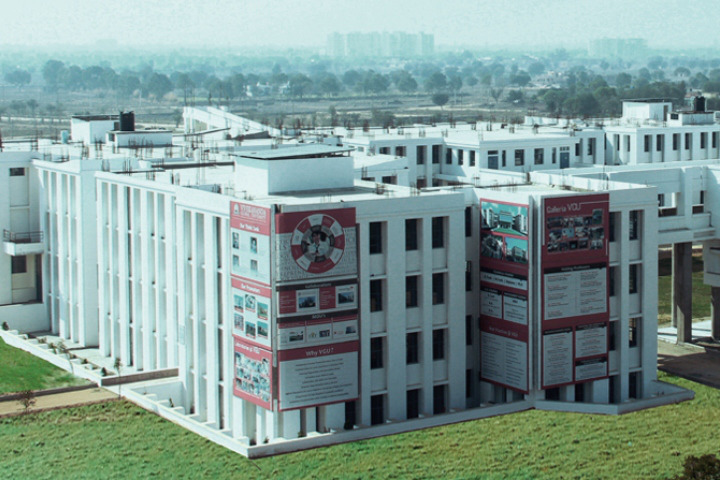 This college is located in outside Jaipur.The infrastructure is very good.The green environment makes it very beautiful. This is worst college for student in Jaipur.This college is just like central Jail.The all faculties are just like Jailer.The college Timing is 8:00 Am to 3:30 pm. The gate is locked at 8:00 Am. Students are not allowed enter in college campus after 8 Am. The gate is open at 3:30 pm then after student have permission to go outside.The placement of this college is worst in Jaipur. The internal no are send by faculty is very poor. So I have suggested to select better option instead of VIT. 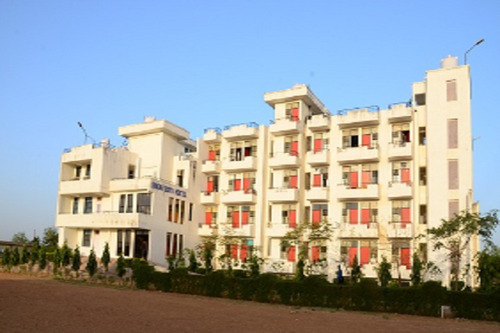 Boys Hostel :VGU Campus provides well furnished separate hostel facility for boys. Since these hostels act as the second home of the students for four years, full care has been taken to make the accommodation peaceful, secure and comfortable which provides the inmates an environment for development. Rooms have attached balconies. Girls Hostel :VGU Campus provides well furnished separate hostel facility for girls. Since these hostels act as the second home of the students for four years, full care has been taken to make the accommodation peaceful, secure and comfortable which provides the inmates an environment for development. Rooms have attached balconies. 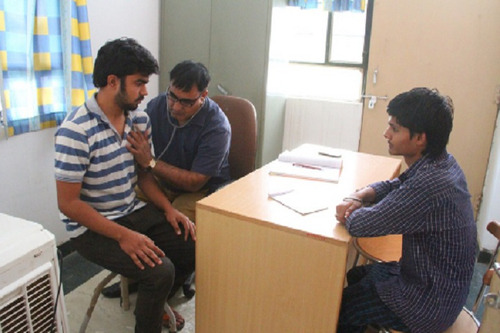 Medical/Hospital :VGU has its own dispensary, wherein the doctor from the SMS Hospital, Jaipur visits every evening. 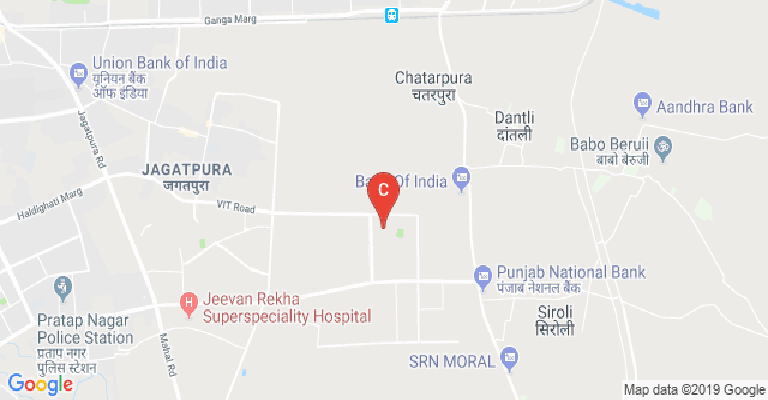 VGU also has tie-ups with Jeevan Rekha Hospital, Apex Hospital for any sort of medical emergency. VGU has proper stock of medicines that have been ensured by the college authorities. First-Aid and sick room have been established within academic building. The University keeps its own vehicle available to attend to the health problems of students and faculty members. Gym :VGU also has the facility of a well-equipped gymnasium separate for girls and boys. It helps the students to lead a healthy lifestyle. Female and male Instructor has been provided for the students. 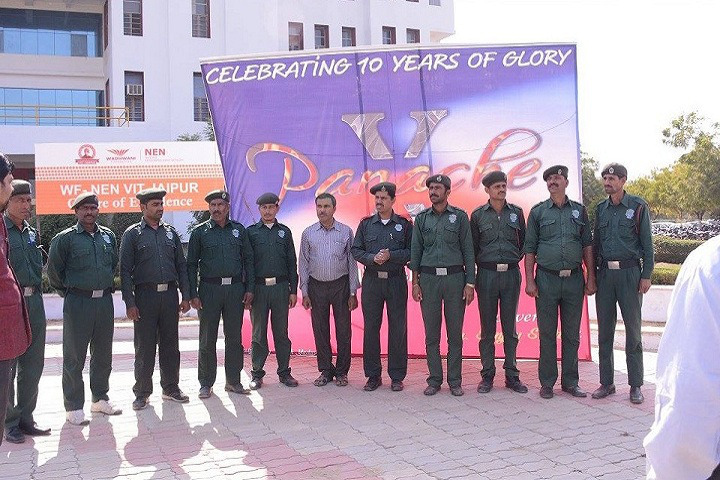 VGU believes in the physical fitness of their members too. Library :The Learning Resource Center (LRC) of University is situated in the separate building of two floors. LRC has a rich collection of more than 3000 books and 1500 E-books. The students and faculty are given access to more than 200 E-journals. The libraries give easy access to several web based video courses, prepared by the professors of leading institutes of the country. At a time, it gives access to 60 students to work on computers as well as to read the books. The LRC is open till 8 P.M. daily for the hostellers as well for the day scholars who want to stay back for study. Sports :The University has a few recreational, fitness and sporting facilities for the students as well as faculty members to enjoy their passion and to stay fit and fine. 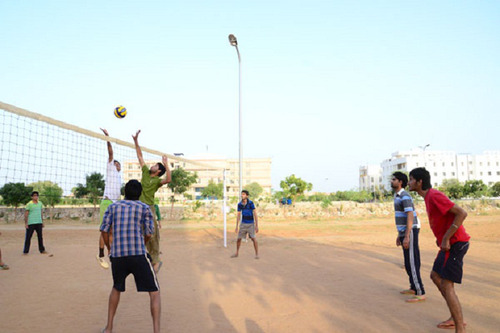 Besides indoor facilities like table tennis, carom, chess, the University has Cricket, Hockey & Football ground along with Volleyball, Basketball, and badminton courts. Cafeteria :The University has a canteen facility for staff and students. Breakfast and Lunch are served at the cafeteria on a pre-paid basis at reasonable rates. The cafeteria is managed by the professional team who cooks Indian, South Indian, Continental and Italian Food. 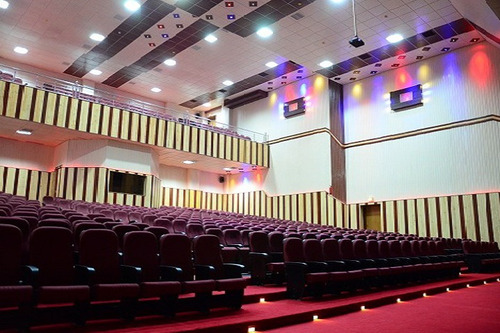 Auditorium :The Auditorium of the University is located at the 2nd Floor. with the sitting capacity of 550 + people. 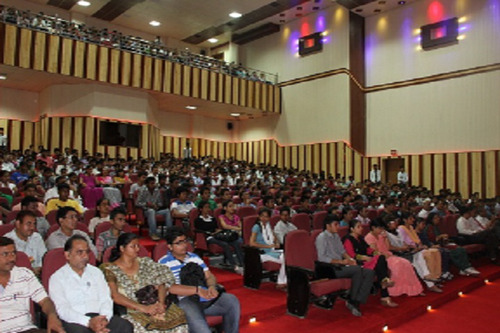 The auditorium is used for conducting conferences, seminars, interactive sessions, start-up meets, pre- placement talks. The students also used the auditorium for organizing fresher’s party, farewell party, hostel evening, club day and many more. The hostellers on holidays, evenings and Sundays enjoy watching movies with their peers and faculty members. 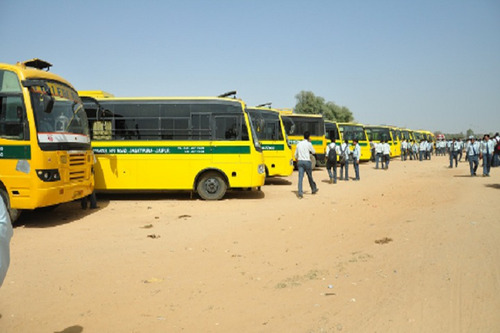 Transport Facility :The University runs a fleet of 30 buses to help students and staff members commute to and fro from various locations of the city. The bus reaches in the Campus at 7:50 A.M. daily and leaves the campus at 2:45P.M. daily except Wednesday and Thursday. The bus service is available over a 35km radius around the university. A nominal fee web-based on an yearly basis. 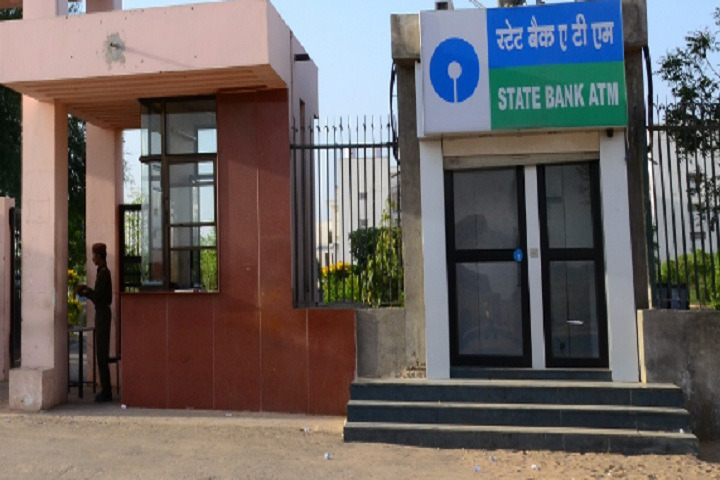 Banks/ATMs :To meet the daily monetary requirement of the University staff and students, ATM facility of State Bank of India is located outside the campus. Wifi :The University has a 24 hrs Internet facility Wi-Fi enabled campus.